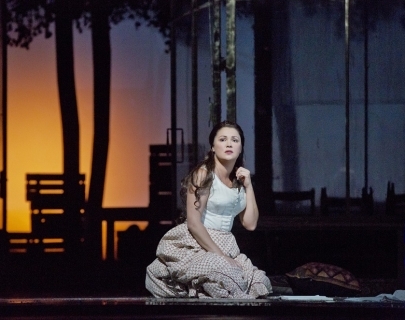 Anna Netrebko reprises one of her most acclaimed roles as Tatiana, the naïve heroine of Tchaikovsky’s opera, adapted from Pushkin’s classic novel. Dmitri Hvorostovsky stars as the title character, who rejects Tatiana’s love until it’s too late. Robin Ticciati, Music Director of Glyndebourne Festival Opera, conducts the revival of Deborah Warner’s staging, which opened the Met’s 2013-14 season. Alexey Dolgov sings the role of Onegin’s friend-turned-rival, Lenski, with Elena Maximova as Tatiana’s sister Olga and Štefan Kocán as Prince Gremin.